Sofia is youthful and eclectic, perfect to explore in 2 days! While researching for the trip, I read mixed reviews saying that maybe Sofia wasn’t worth it. However, we quickly found out that they were wrong! Sofia is definitely worth passing a day or two. The capital may not have countless activities but you can easily enjoy its rich history. 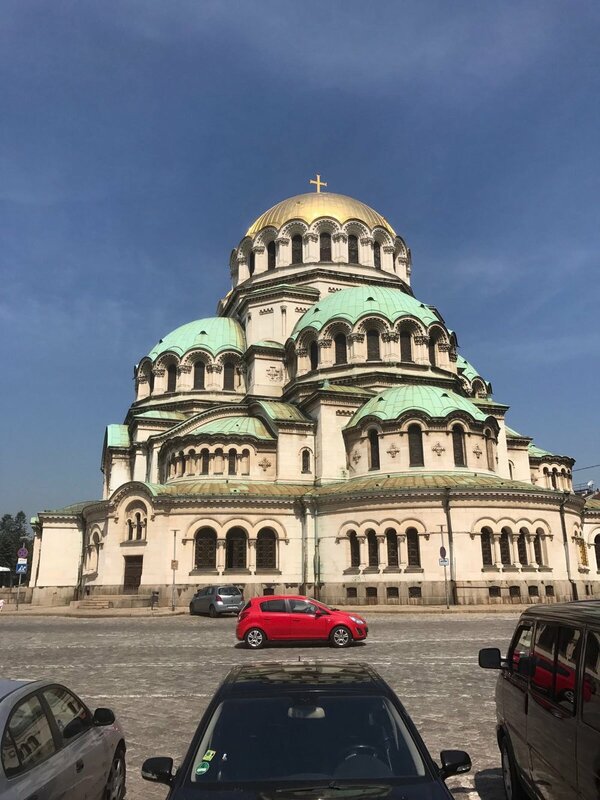 Here is your Sofia travel guide. We are the kind of travellers that walk 20km per day so we visited the city in a day. If you are like us, we recommend that for the second day, you rent a car and go to the Vitosha mountains; they looked beautiful from the city center. Unfortunately, we did not get the chance to go since it was a little difficult to access by public transit by the time we wanted to go. If you want to take it slower, this Sofia 2-days itinerary perfect for you! The orthodox church is the symbol of the city and one of the most photographed spots in Bulgaria. The domes are very beautiful and they give a nice colour touch to the city. Sadly, the inside is not well maintained and some of the frescoes are nearly erased. I hope that in the future they will plan to preserve them better. Serdika, the city's downtown, is mostly designed around the cathedral, the other main buildings are easily recognizable with the yellow cobblestones paving your way. In this perimeter, you will find that baroque, Byzantine, ancient Roman ruins and communist styles perfectly blend together reflecting the country's rich historical influences. Did you know that the ancient Roman ruins were discovered when digging for the metro? Full of shops, terraces, restaurants, bars and coffee shops, this pedestrian street is the heart of the capital. Stroll around the street and enjoy the vibe and the mountains as a backdrop. A little to the south of the city, not far from the football stadium, you will find an open-air museum dedicated to the communist era in Bulgaria. Divided into three sections, the museum collects the history of the communist party that ruled the country for more than 40 years. The first section contains propaganda videos where you can see military parades, speeches by national officials and Russian leaders as well as news clips from the post-war era. The second part has paintings by renown artists that depicted life in those years. Finally, the third section is outside, a garden which has sculptures of all the sizes showcasing the glory of the party. The capital has numerous parks and green areas. This is a perfect occasion to rest and to cool off the summer heat. Borisova is the biggest, oldest and the most-known park in Sofia. The park is located near the football stadium and is dominated by a communist sculpture. The metropolis is also known for its numerous public markets. The Central Hall, Zhenski or Ladies’ market provide different things to see, smell, taste and buy. You can easily spend a few hours exploring them. Don’t forget to eat there, you will not have fresher food than this! Don't forget to check the Bitaka flea market for some unusual findings. 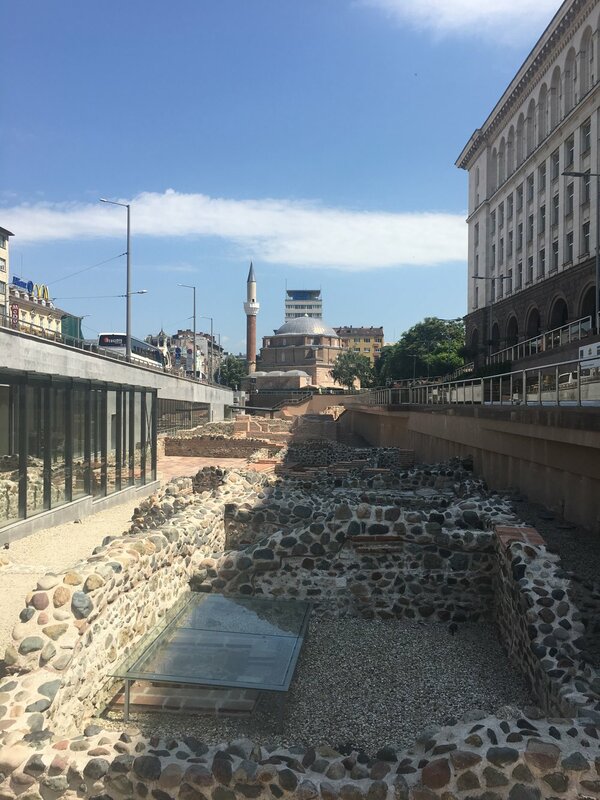 Often called the Jerusalem of the East, Sofia gathers the three monotheist temples very close to each other. Did you know that the Sofia Synagogue is the biggest in Eastern Europe? Where to eat in Sofia? Moma is an extremely beautiful restaurant mixing traditional recipes with a touch of originality from the chef. The homemade bread is given with Bulgarian spices on the side so you can season it your liking. The restaurant has an extensive list of Bulgarian wine which will pair perfectly with your meal. The staff was really friendly and they speak perfect English. The decor shines the light to different crafts as pot making, woven textiles, bread making and rose picking reflected in part in big portraits of momas (young unmarried women (not very feminist)) with their folk outfits. The restaurant embraces these crafts that have shaped the country for generations. Everything from the chairs textiles to the lighting, to the plate, display the beauty of these traditions. The name translates as under the Linden Trees, is a tavern-like restaurant inside a traditional house with wooden structure and white walls. The restaurant has its own farm, it does not get more farm to table than this. Opened for almost a century, they kept the initial decoration of folk dresses and vintage items such as hay carts and agricultural tools. The restaurant has 100 seats and has beautiful terraces under the trees. This craft beer bar has a cool selection beer both from their in-house beer and small breweries from around Europe. Enjoy a few beers in their terrace listening to the groovy sounds from their DJ. The bar is a well-known for its communist-era retro vintage memorabilia and its wide selection of the national drink, Rakia. This distilled alcoholic beverage is made from fermented grapes, plums, or other fruits with high sugar. The taste is somewhat similar to a flavoured vodka Be careful not to drink too many ;) The food menu has hearty Bulgarian food that will fill your belly and will make it easier to drink more rakia. This is your regular beer bar except that you can pour your own beer tap. How cool is that? Plus, the house beer is super cheap , around $1 for 2 pints! The city is easily walkable and all the main attractions are within reach. The metro system is very modern and deserves the city very well. The capital also has trams that are very convenient. 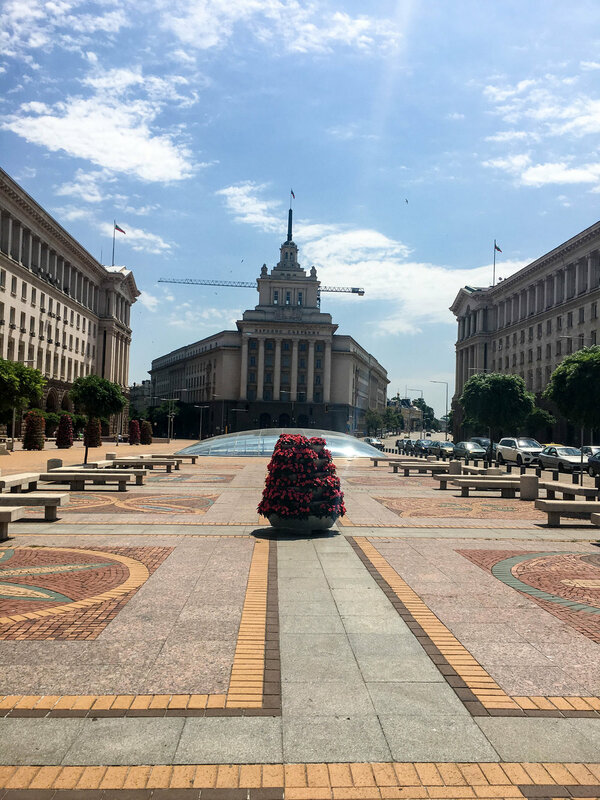 PSST: Don't forget to read my other posts How to plan the perfect road trip in Bulgaria for a complete guide on the country & A Complete Guide of the Plovdiv Region for a guide in the hip Bulgarian city.